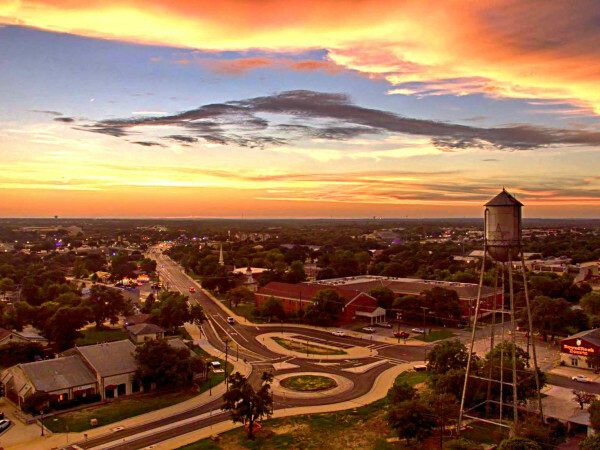 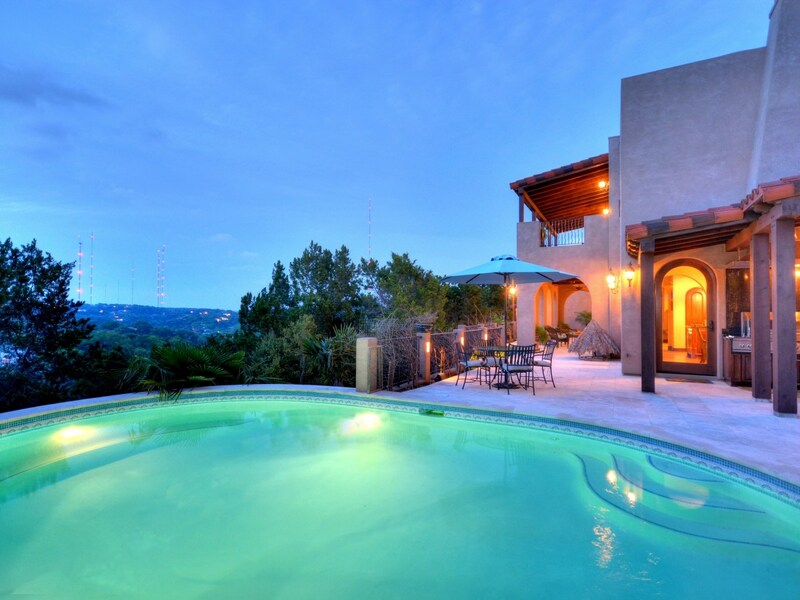 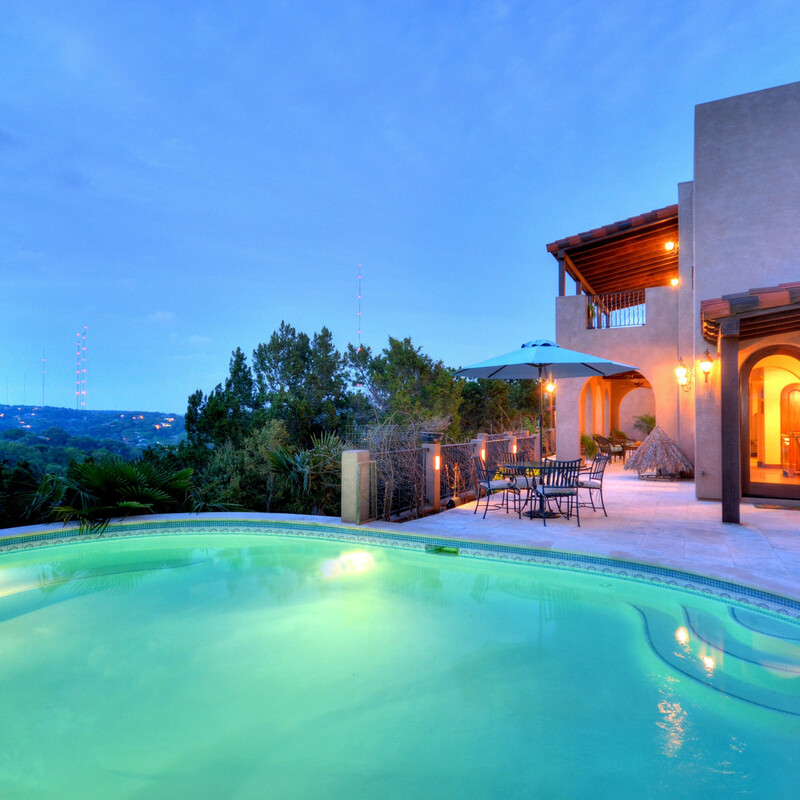 Five miles from downtown Austin sits a stunning retreat in the rolling hills of West Lake. 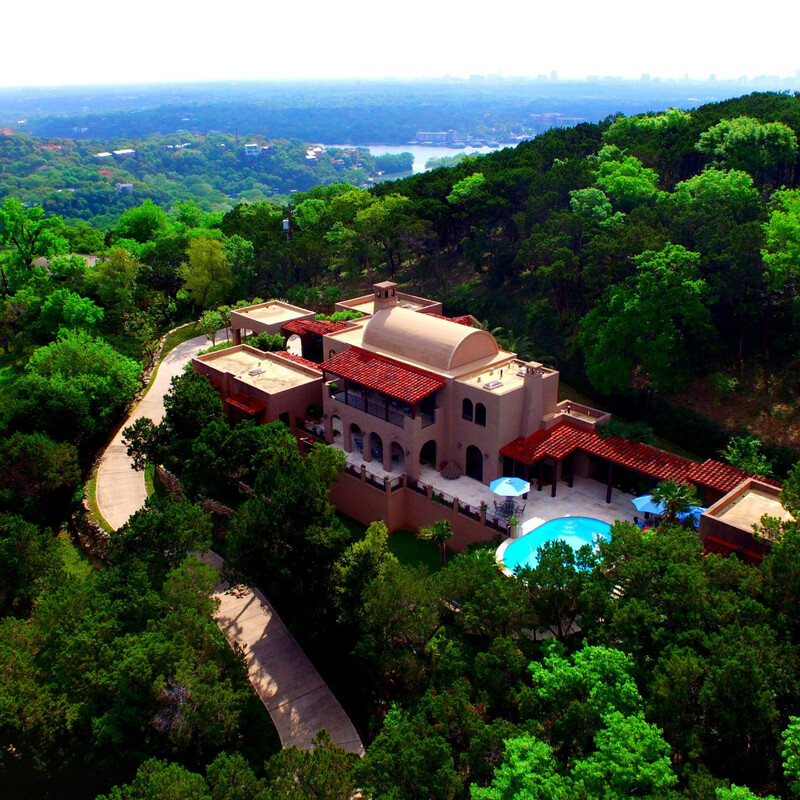 This extremely private estate boasts sensational panoramic canyon views 60 feet above street level. 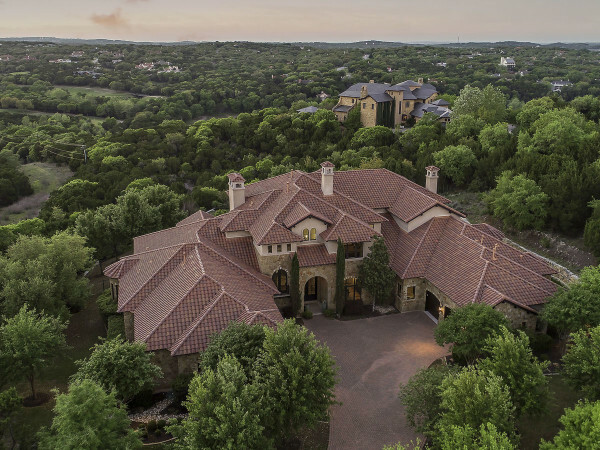 The 1.21-acre abode is bursting with wonder around every corner, and the attention to detail is apparent inside and out. 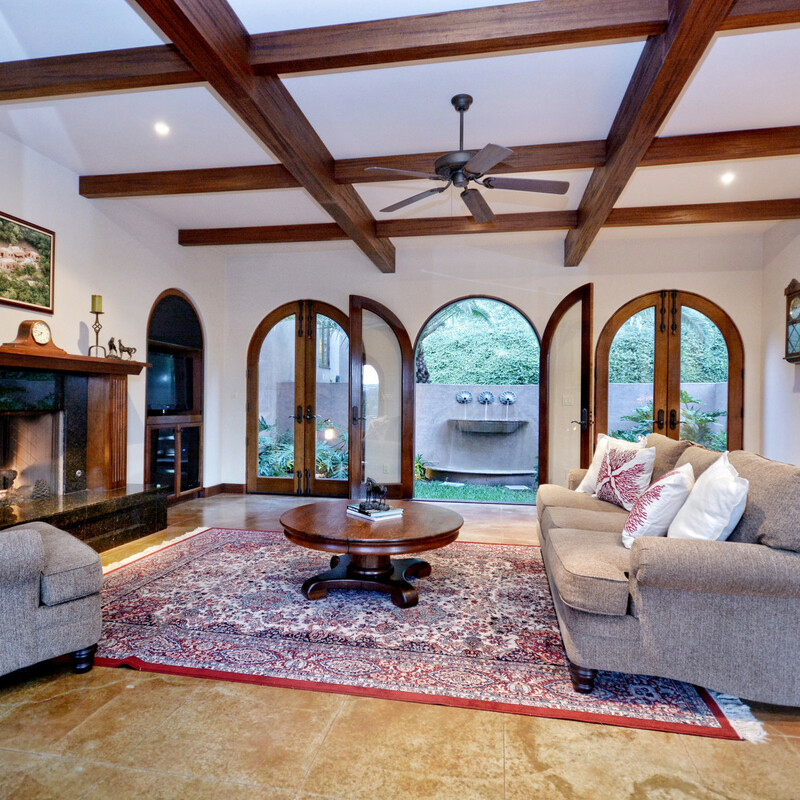 Interior features include vaulted ceilings; exposed beams; concrete, stone, and wood floors; and mahogany cabinetry and French doors. 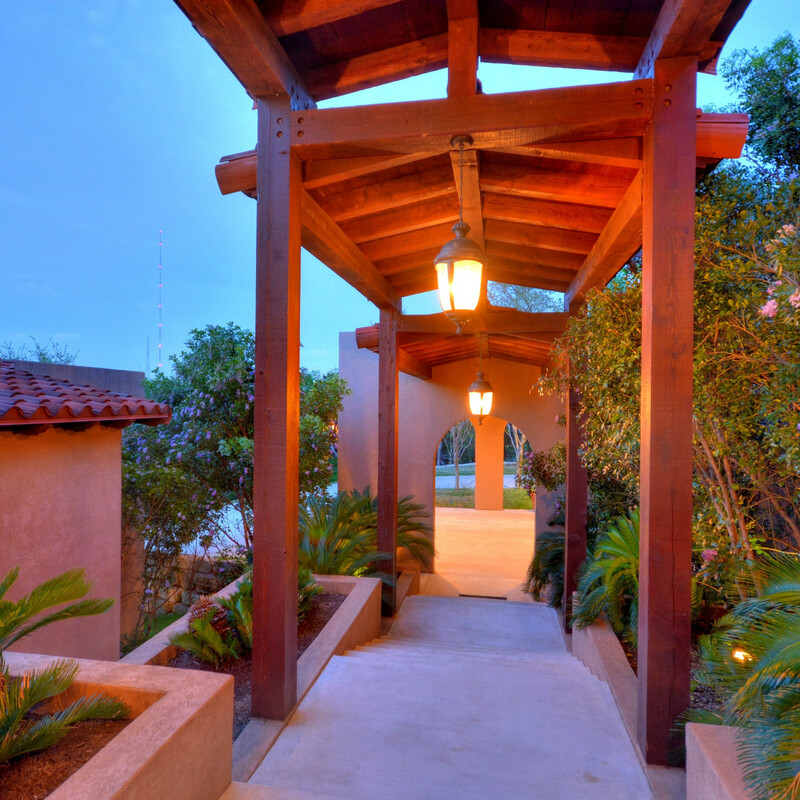 Built in 2003, the four-bedroom, four-bathroom estate is a total of 4,102 square feet; it also plays host to a separate one-bed, one-bath casita, which can be used for guests or as an office. 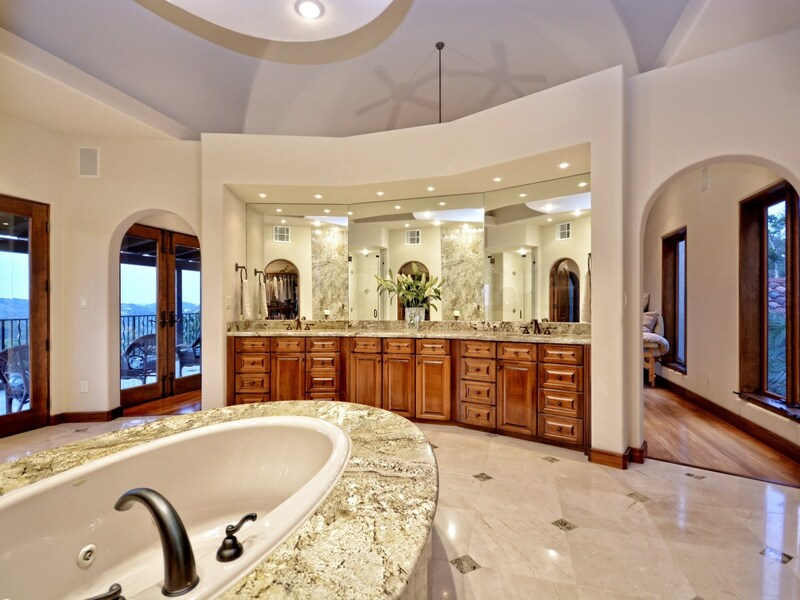 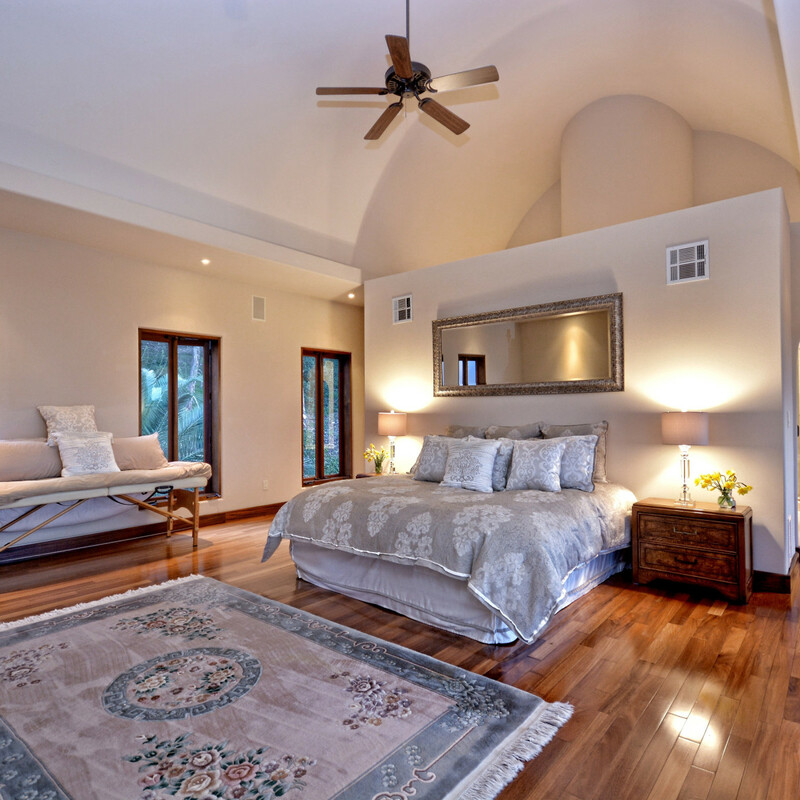 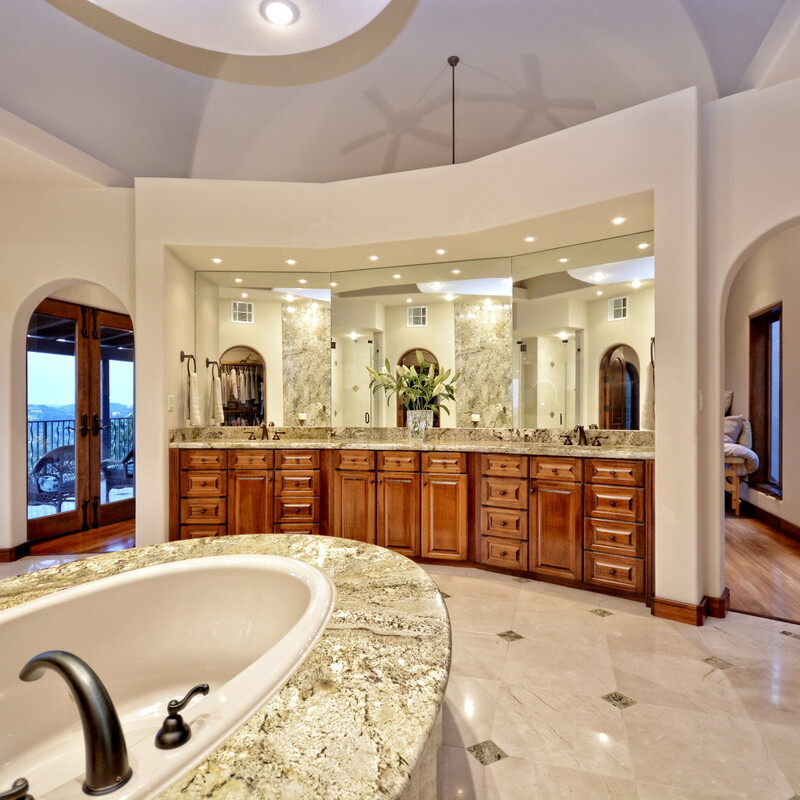 The master suite, located on the second floor, delights with a double vanity, jetted tub, two closets, and a fireplace. 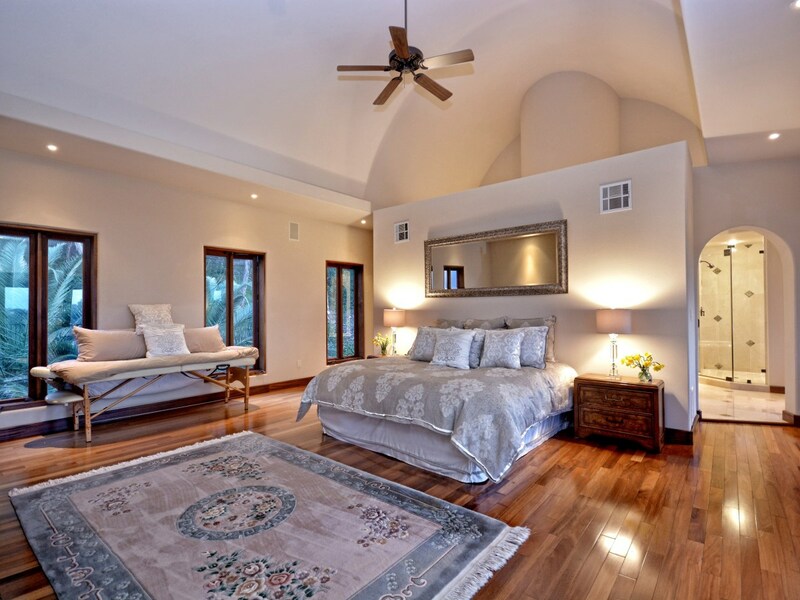 Downstairs comprises three bedrooms, living room, and dining room. 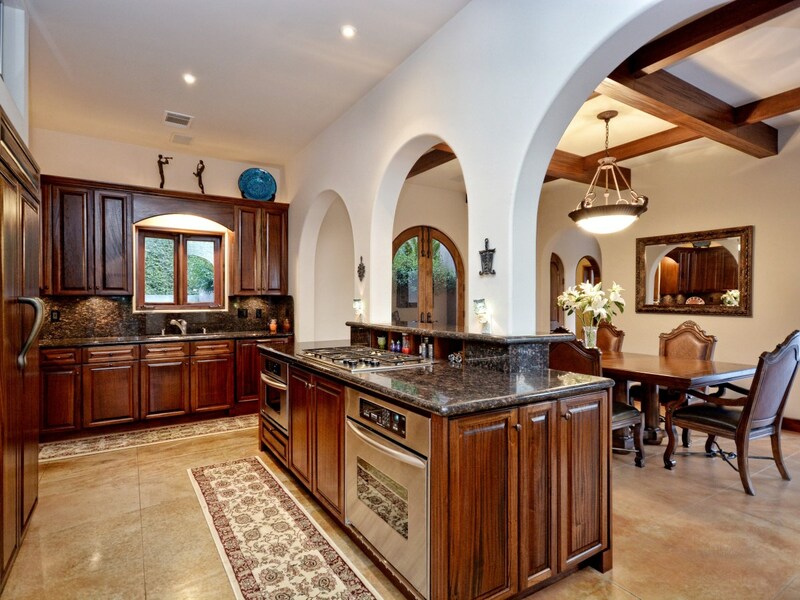 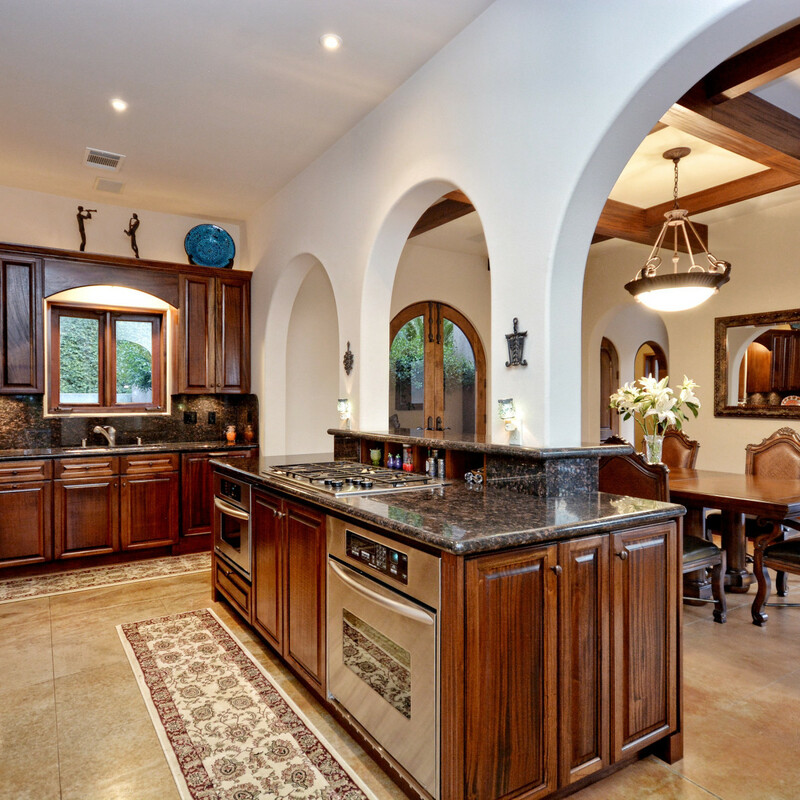 A breakfast bar, center island, granite and marble counters, and updated appliances make for a chef’s dream kitchen. 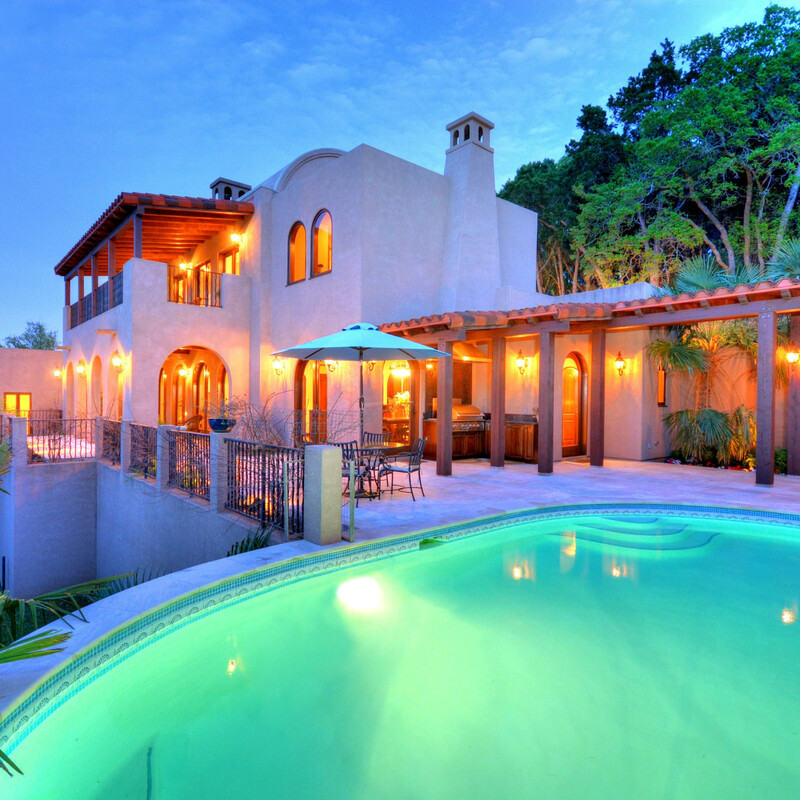 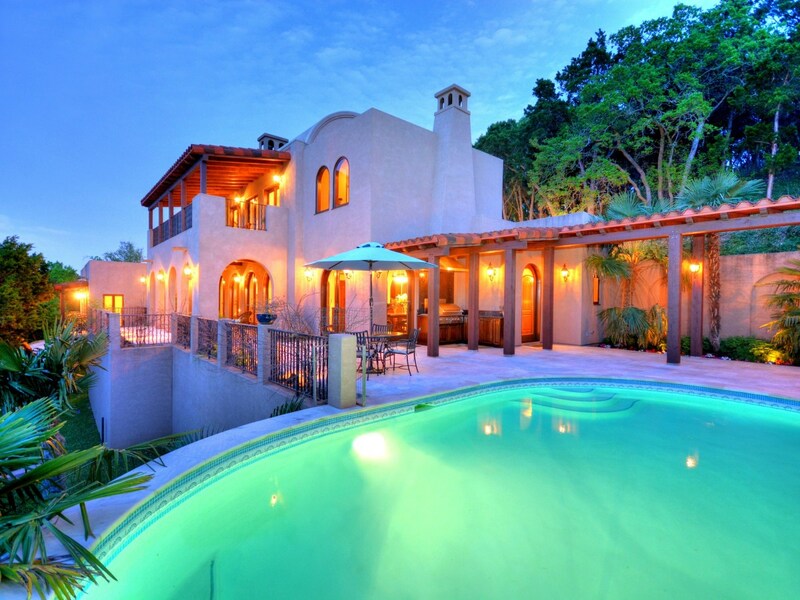 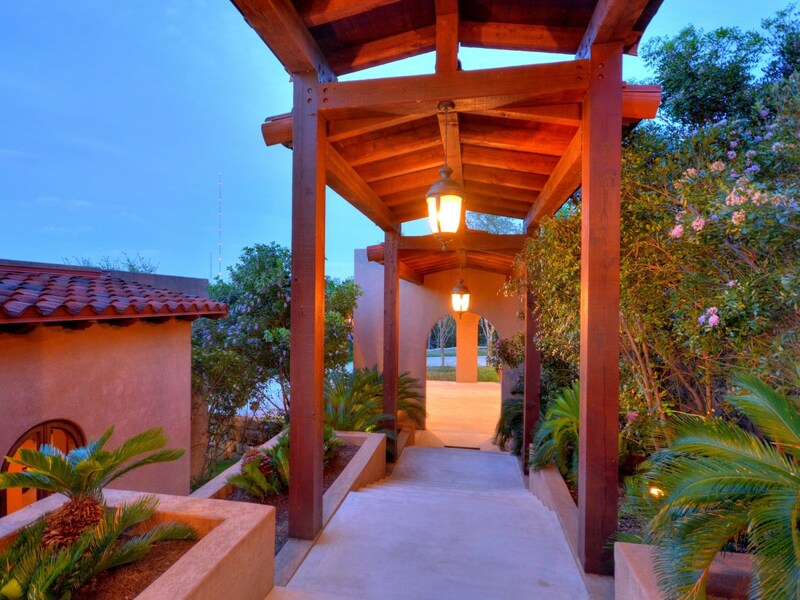 Facing northwest, enjoy beautiful sunset views with the backdrop of the Mediterranean-style stucco of the home. 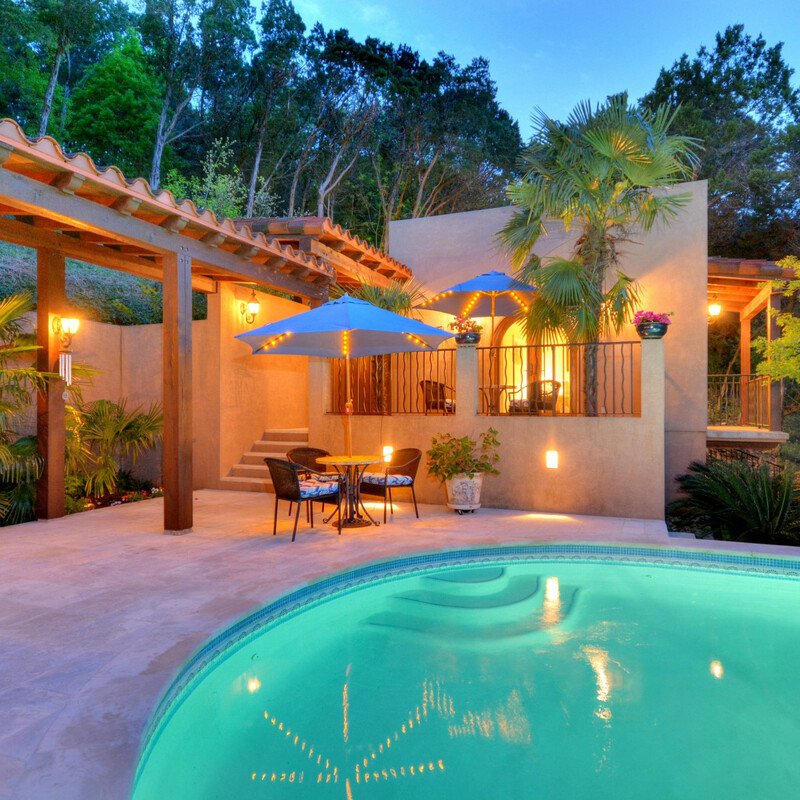 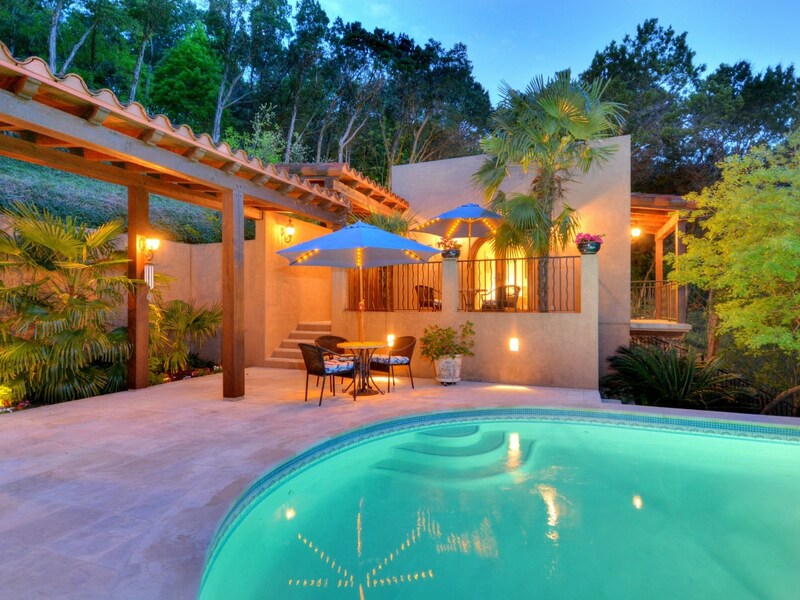 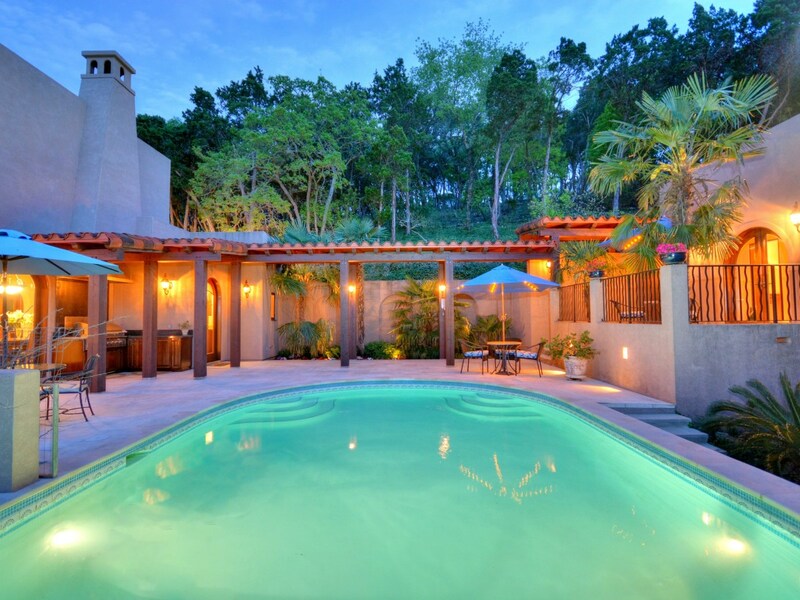 The exterior space is a total of 2,600 square feet with verandas, an outdoor kitchen, palm terrace, and large pool. 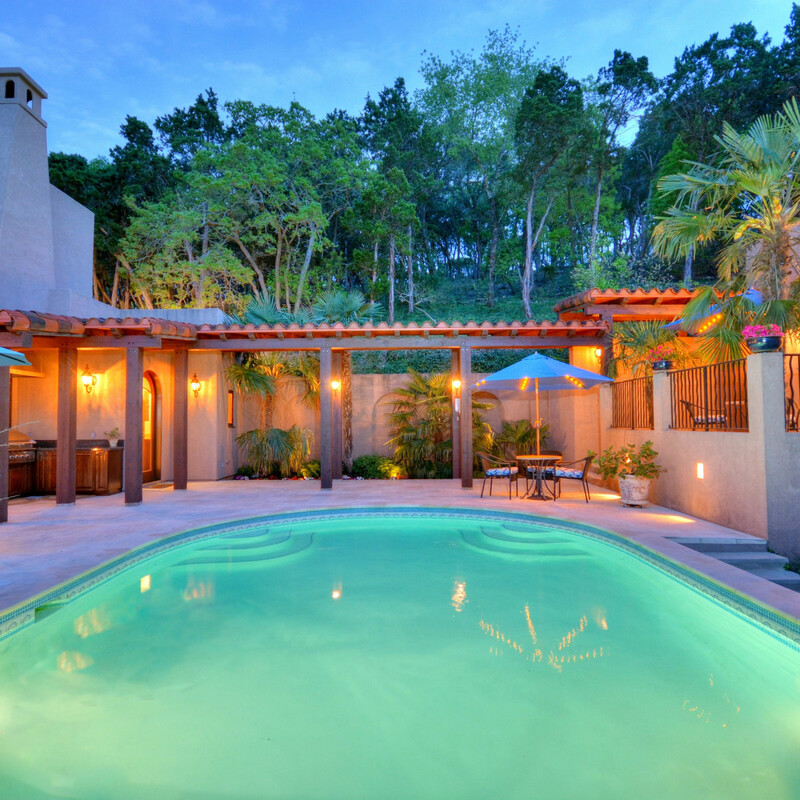 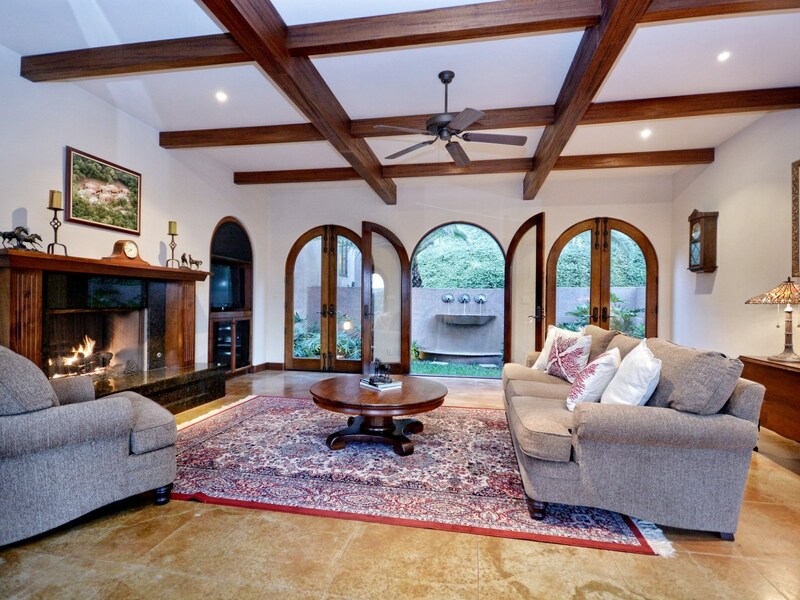 Tropical landscaping brings tranquility to anyone lucky enough to call this property home. 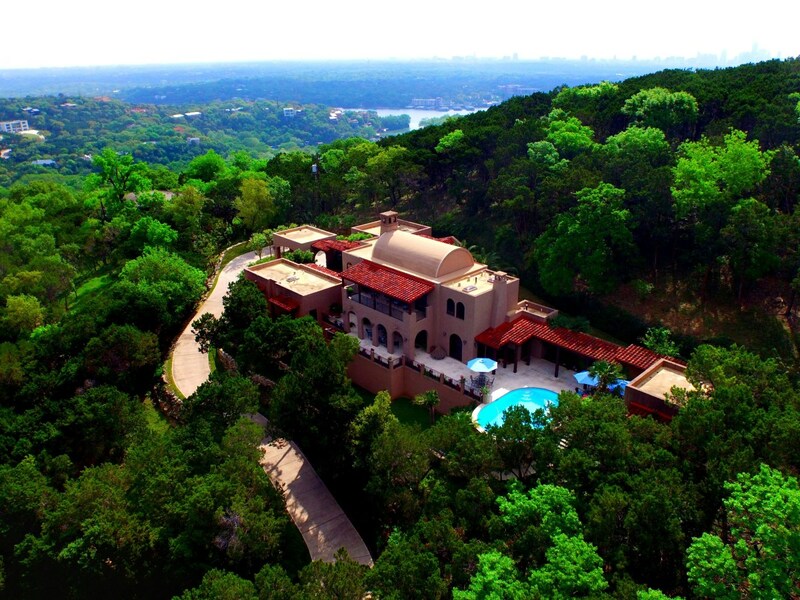 Listed by Maggie Falvey of Realty Austin, 1516 Wild Cat Hollow is on the market for $2,199,000.